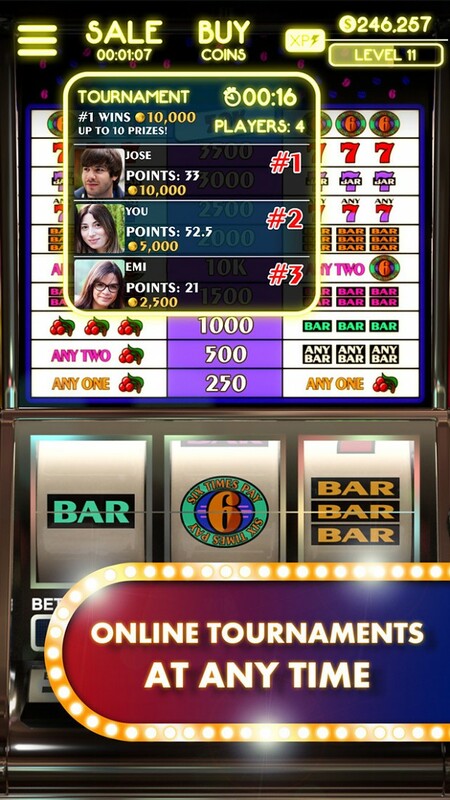 Real Slot Machines: Pure Vegas introduces you to THE #1 REALISTIC SLOT MACHINES. Try your luck and win BIG in these Las Vegas classic slots machines. With Real Slot Machines: Pure Vegas you will find a set of vintage retro style slots machines that will amaze and allow you to enjoy a different kind of visuals. More real, more immersive, more engaging. You'll feel like you're in Downtown Las Vegas. Start with a free coins pack and join the party to get Free Spins, Bonuses, Wheel of Fortune spins, Wilds, Scatters...all the Casino Slots features are waiting for you in Real Slot Machines: Pure Vegas. If you are looking for a free, easy to play slot machines, Real Slot Machines: Pure Vegas offers you the best experience for you and your friends, with Social Tournaments at any time, 24/7. Accept the challenge putting your whole heart into spinning and be ready to get rich!